Ever wonder what albums your fellow NPR fans listen to? We asked, you voted and below are the results our year-end listener poll for 2018. The list mirrors the NPR Music Top 50 Albums more than I've noticed in previous years. Like that list, listeners put Janelle Monáe, Kacey Musgraves, Mitski and Lucy Dacus all in the top positions. At the same time, you surprised us by putting Kids See Ghosts, the debut studio album by Kid Cudi and Kanye West, in your top ten, while it wasn't in our top 50. 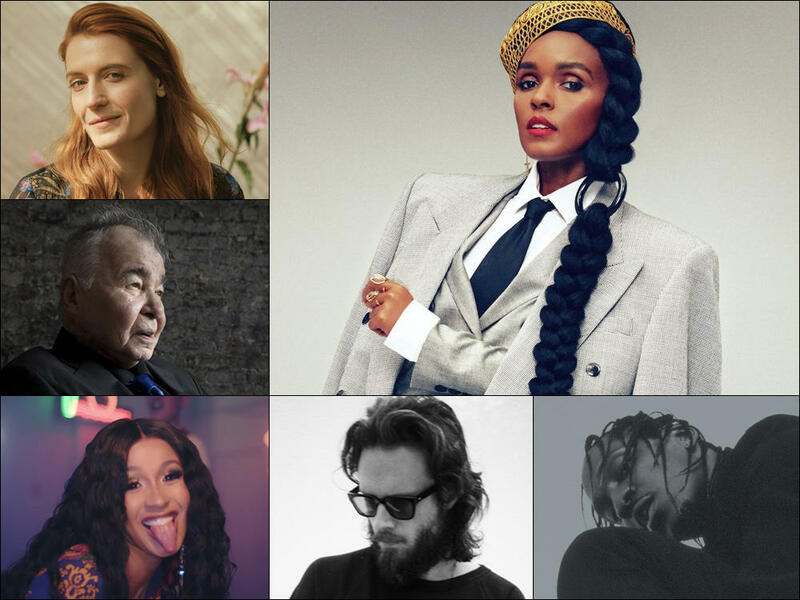 Other favorites of yours that didn't make our albums list include Parquet Courts in at number eight, Christine Aguilera at number 14, Florence and the Machine at number 15 and Father John Misty at at number 16. I was also happy to see love for the British punk band IDLES, Soccer Mommy, mewithoutyou and Blood Orange. 8. Parquet Courts, Wide Awake! 24. IDLES, Joy as an Act of Resistance.